Dhoni won his first test match as captain. Well done Dhoni! His knock of 32 runs in the first innings and his 60 runs partnership with Sourav Ganguly was crucial in determining the outcome of the match. His decisions, particularly in rotating the bowlers, has to be apprciated. He seems to know the trick of throwing the ball to the right bowler at the right time. Dhoni! Do you have any magic wand with you? I came to know that you are a serious Blogger and is interested in Making Money through Blogging. I Hamrash Edava have an experience of more than 5+ years in blogging. We www.moneyham.com have a list of Good money making Programs and we will display the Income Proof we have got with the Programs. 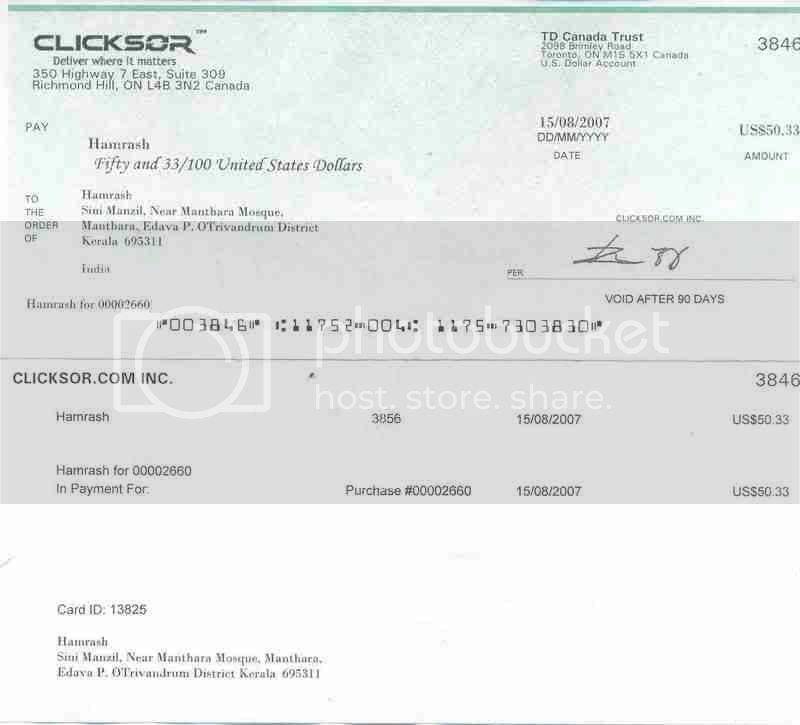 Perhaps Moneyham is the easiet and sincere way to make money and earn Cheques like this.